I’m fairly certain almost everyone knows that the successor to a famous, perhaps even legendary, game was released just a few days ago. While I admit that this post has next to nothing to do with World of Warcraft, it is another game by the same developer and therefore I figured it reasonable to post some of my thoughts on this game and perhaps even recommend it to you assuming you haven’t purchased the game already. 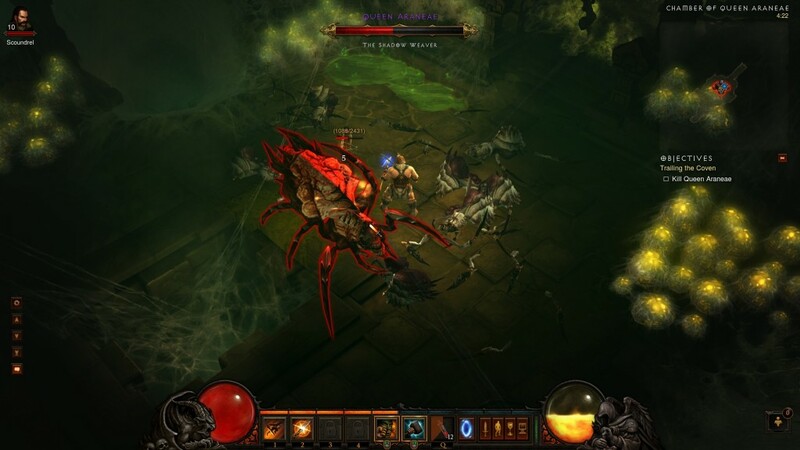 As I mentioned above, Diablo 3 has incredibly high expectations to fulfill given the success of its predecessor, expectations which it fulfills to varying degrees. 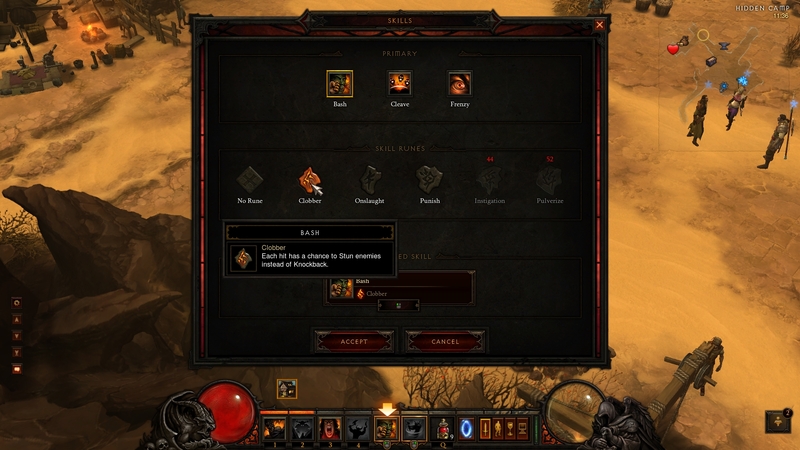 As far as the gameplay goes, it’s very much a Diablo game in spite of some changes that seem distinctly similar to World of Waracraft such as the inclusion of ‘Fury’ for Barbarians which is charged, as you might expect, by dealing damage and is used to fuel a number of abilities most of which are carried over from Diablo 2 in one form or another. 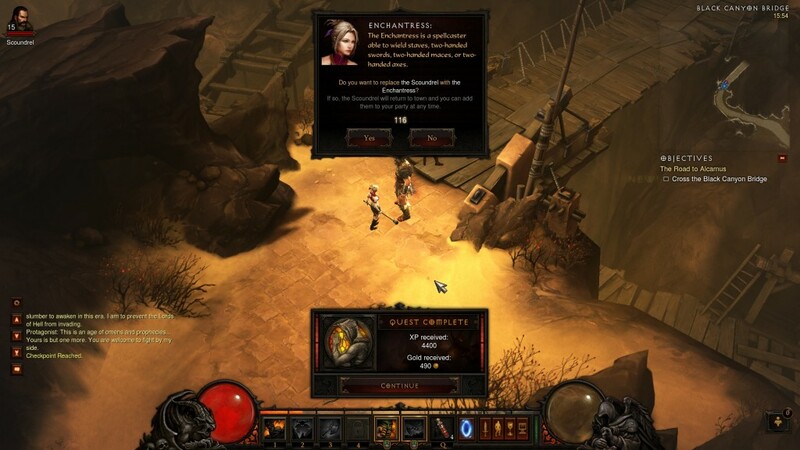 Diablo 3 is a more streamlined experience than its predecessor, disallowing some of the character customization offered in D2 in favor of allowing you access to all abilities although you are only allowed to ‘equip’ a limited number at any one time. Whichever abilities you choose can be freely swapped out for alternatives at any time. What this does is make each character more versatile and prevent you from accidentally destroying your character by misplacing skill points in the wrong ability, but also somewhat diminishes individual creativity and decision making. Ultimately I would consider it a net positive, and the addition of Skill Runes to each ability which augment the effect in various ways from adding damage or stun effects to changing the creature summoned by a spell allow you to distinguish yourself from others of the same class. While every class aside from the Barbarian is technically new, you can easily see the influence of now removed classes in their design as each of the new classes seems to be something of a mixture of the older ones, the newly added Demon Hunter’s abilities resembling those of the Amazon and Assassin for example. The mercenaries of the old game return as the Templar, Scoundrel, and Enchantress, now thankfully reviving themselves rather than costing you a potential fortune each time they die, which can be fairly often as I’m sure veterans of Diablo 2 will remember. I should note that they are designed solely for the single player experience as the companions are unavailable when one or more players join your game, something I find unfortunate as even if his actual effectiveness is much lower than that of a player character I rather enjoy the banter the scoundrel provides. You can have one companion at a time and each companion wears different forms of equipment, which you’re able to customize along with their abilities. The actual launch of the game has unfortunately been marred by a number of server issues which, due to the design of the game making it mandatory to be online even for the single player, is more troubling that it might have been otherwise. However, these issues are quickly clearing up, and I think that the gameplay more than makes up for a few launch day problems, most of which are a result of the massive number of people seeking to log on and play the game. Some new features worth noting are the crafting system, a welcome addition, and a region wide Auction House with the real money auction house scheduled to open soon. All in all I think that Diablo 3 will be a satisfying experience for players experienced wtih Diablo 2 as well as for people looking to try a Diablo game for the first time and I would recommend taking a look at the game if you haven’t already. If you’re looking to maximize your Diablo 3 experience I recommend taking a look at this Diablo 3 guide.